Described on the website as “One of the most inspirational gardens in Norfolk, the Millennium Garden offers an acre of floral delights, creating a lush tapestry of colour and texture. A stunning cascade of mixed perennials and grasses, designed by the renowned plantsman Piet Oudolf, the bold, colourful drifts and the naturalistic planting style make the Millennium Garden a particularly popular display with both garden and wildlife enthusiasts. It is hard to believe that a week ago today I was praying for the rain to hold off long enough to be able to fully enjoy my visit to Sissinghurst Castle. The forecast subjected that if we visited as soon as the garden opened we might be lucky; I so wanted the American friends we were visiting with to see the garden at its best and not be miserable in heavy rain. As it turned out we were very fortunate and the rain arrived very late in the day after a very interesting visit to Bodium Castle too! So you’re thinking what has this to do with GBFD! Well, when I think of Sissinghurst I think of flowers and especially roses but on this visit even though the garden was still full of colour my belief that foliage and structure are THE most important factors in a successful garden was reinforced by the beautifully clipped box and Yew. 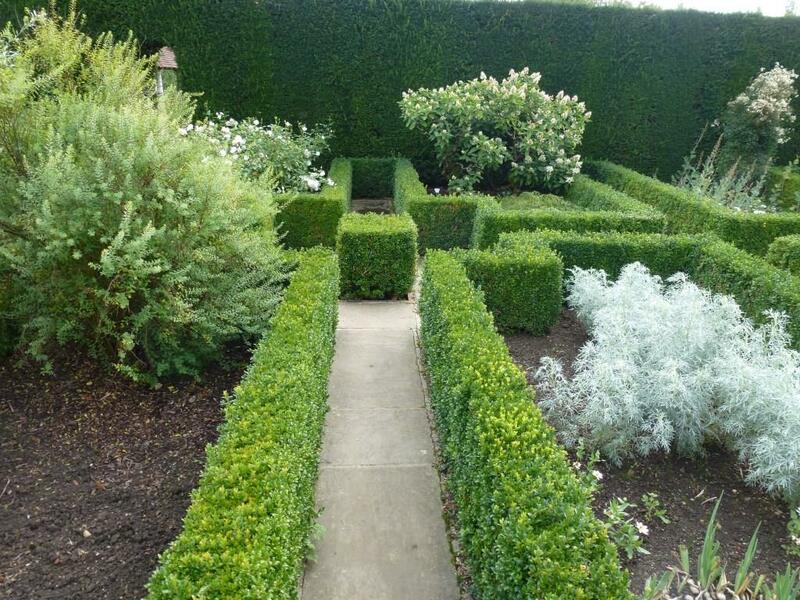 I’m not sure I am correct but I think the box hedging in the White Garden has been pruned differently; I need to find my old photographs to check. 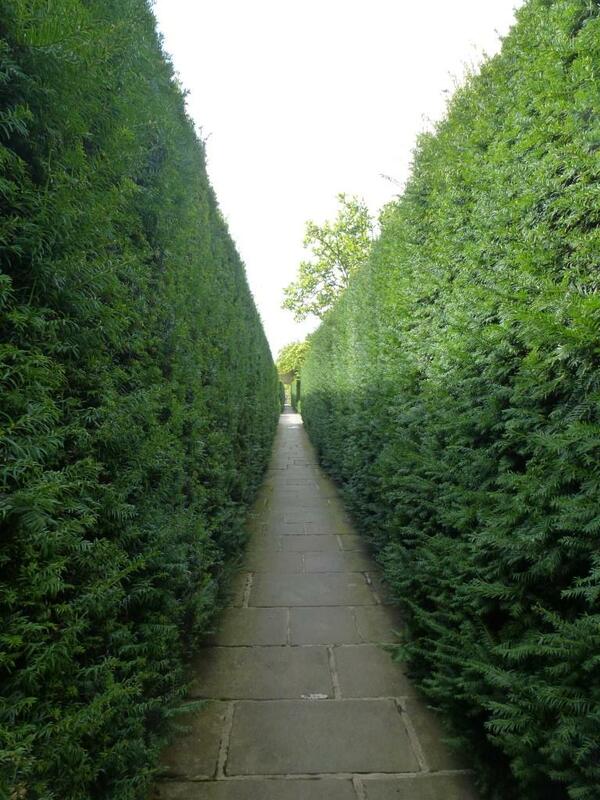 Now the hedging seems narrower and taller which I thought looked much better and was probably initially done for safety reasons as before the hedges were shorter and wider, possibly a trip hazard now they make a definite statement and also I thought they were more elegant. Do let me know if you think there has been a change or if it is just my imagination playing tricks on me. 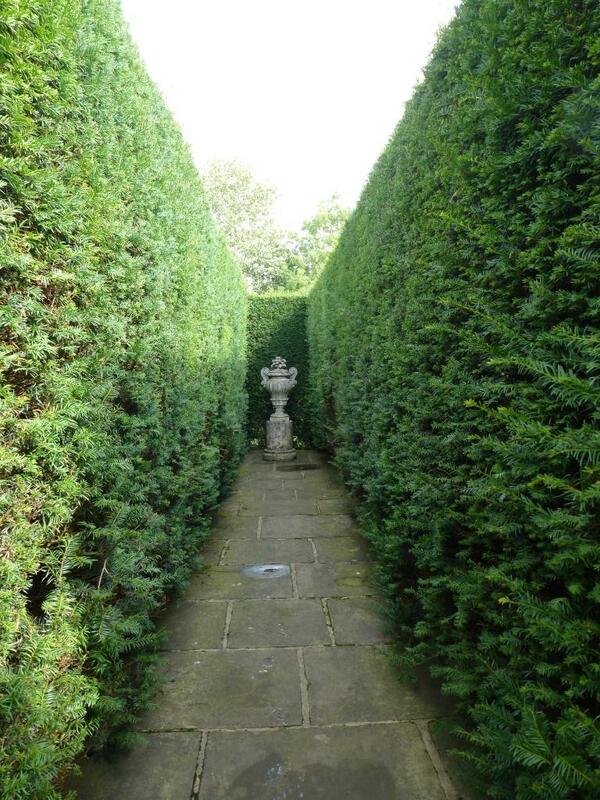 The Yew alleys with focal points had also just been trimmed and were crisp and sharp creating wonderful shadows as hedging does in Italian gardens becoming an architectural feature and not just planting. I love that the spring walk is left almost empty as it would have been in Vita and Harold’s time; when each garden room had its moment of glory and would perhaps be left unvisited for the rest of the time – something that is not feasible today when thousands of people make the pilgrimage to the garden from all over the world and expect to see most of the garden looking perfect. 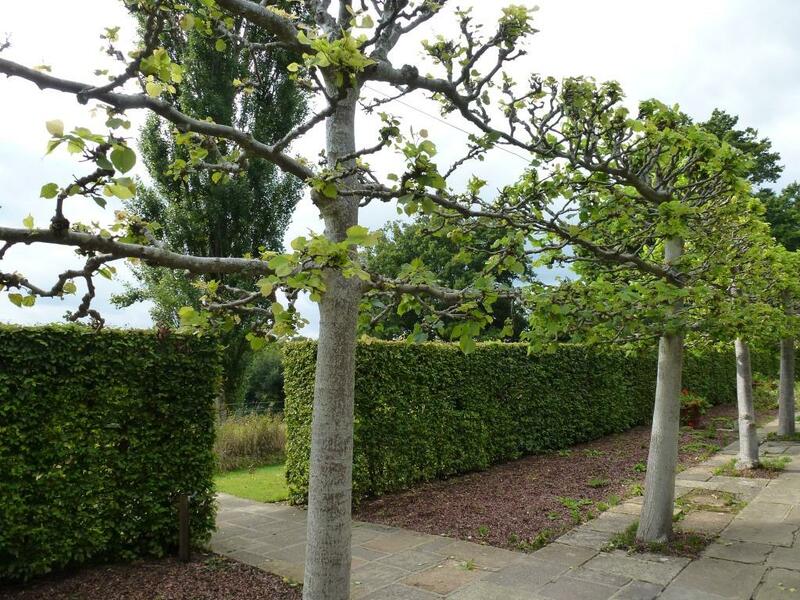 I have always coveted the pleached limes bordering the spring walk and am hoping to plant some myself this winter and create a little spring walk myself at the back of the garden. The beds are ready for the mass planting of bulbs which will fill this space with colour all spring. I am late posting today (I apologise) so I thank Pauline and Susie who have I know already posted for joining in. Do add your own post about what foliage is interesting or stunning in your own garden this month. Autumn tints are already beginning in some parts of the world; I especially love seeing those as we don’t really experience that here in Lazio. Just leave a comment with your link and leave a link to this post in your post; I look forward to reading them all. This is the first time I have joined Ramblingwoods for her weekly meme about nature. I have written about some of the wildlife in the garden from time to time; I gardenin an environmentally friendly way; I don’t use any chemicals in the garden to allow beneficial insects to do any pest control for me. I leave plant debris for creatures to hide, hibernate and nest. This is the first post for the new meme hosted by Xericstyle.